The weekend after this, many in their droves will be embarking on a journey mischief spurted on by the launch of the eagerly anticipated 50 Shades of Grey movie and of course its lead star, Belfast man Jamie Dornan. 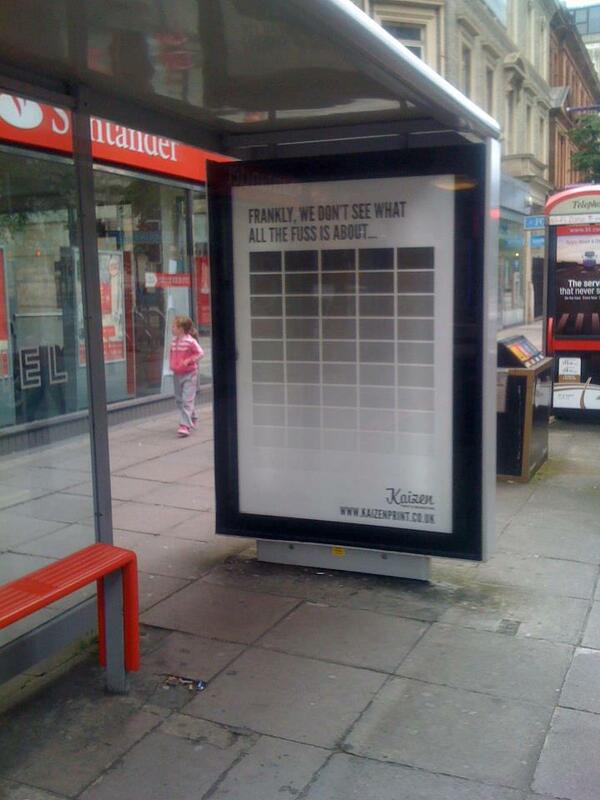 When the book by E L James was originally released, we poked a little fun at it in the only way a printer could, by printing 50 individual shades of grey on a poster. I jested I might put it into production properly and our good friends at Clear Channel made a few Adshel sites around belfast available for us. At the time, the response to the advertising was phenomenal. We picked up a number of design and print clients solely off the back of this campaign. May I point out that there is no sales message on this advertising, it was simply an opportunity to use great creative to promote the Kaizen brand. It worked extremely well. This week, just under two years after our design originally went live, I have re-shared it over Facebook and Twitter. It has already been liked over 100 times and shared many times as well. Itâ€™s a testament that good design will always benefit your business, whatever market you are targeting. We originally printed these posters for Adshels and placed them at various locations across Belfast. It was a huge success.